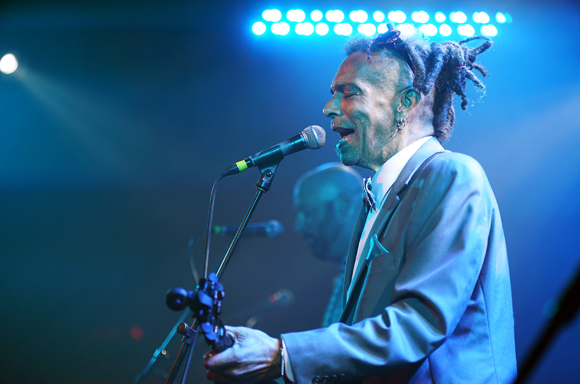 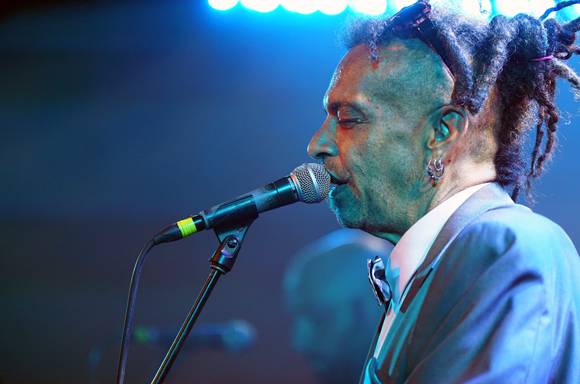 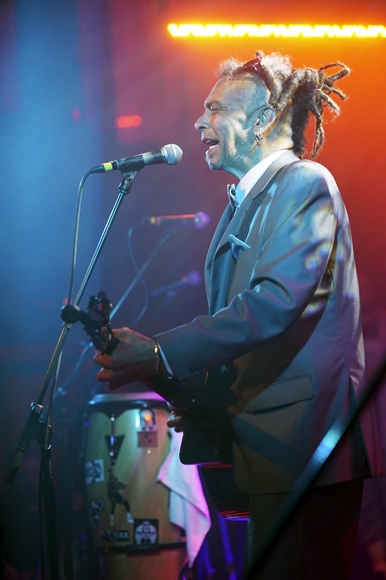 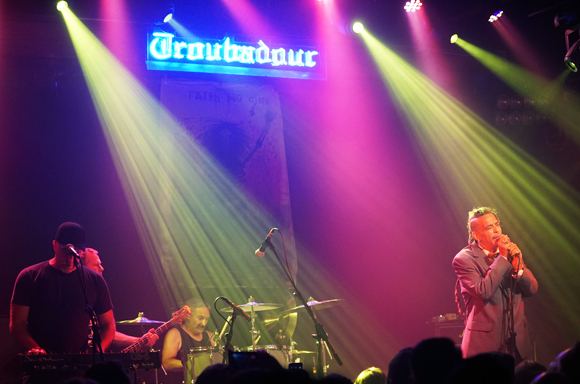 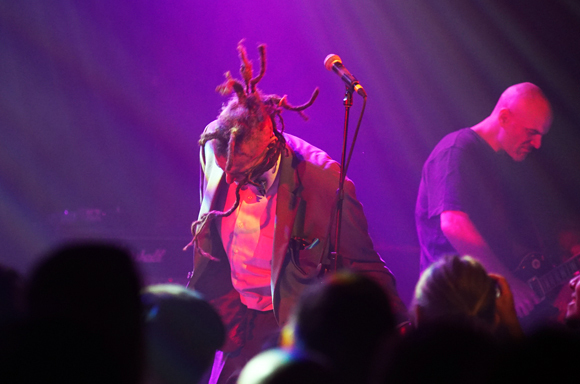 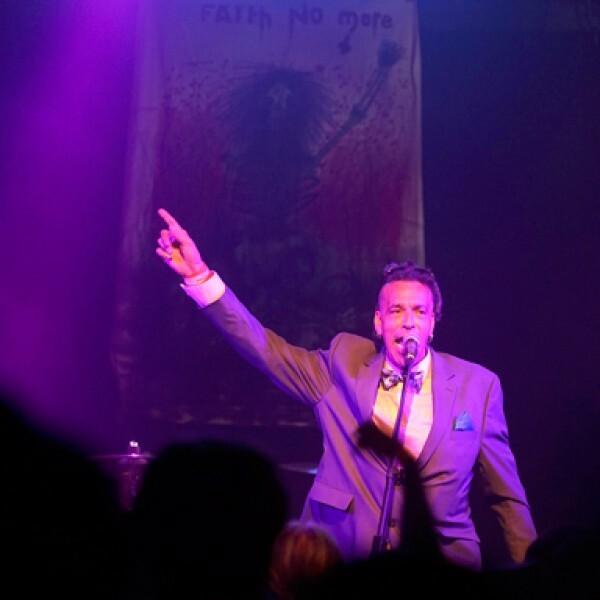 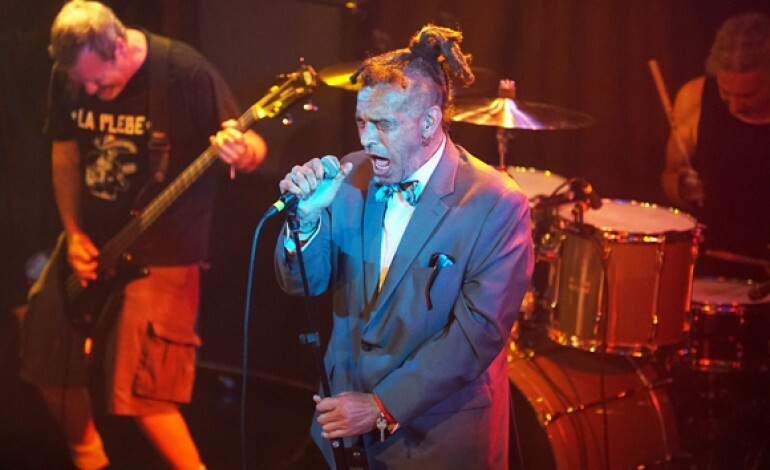 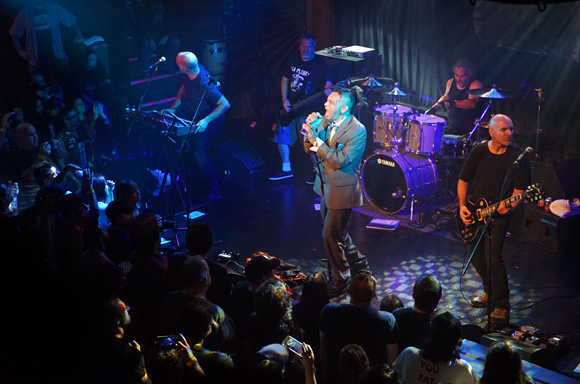 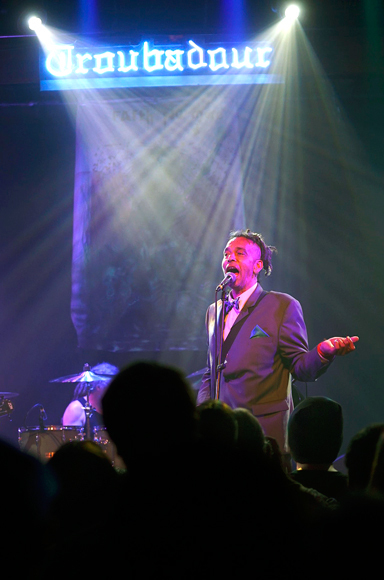 To begin his set at the Troubadour on August 20, Chuck Mosley tottered along the stage as if the years since he broke with Faith No More had weighed heavily on him. 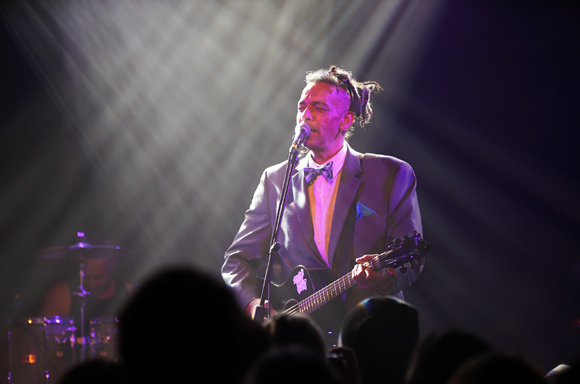 Clutching an acoustic guitar and a wistful demeanor, his acoustic set was merely a foil for his hard-rocking, head banging, middle-finger bareing reunion set with Faith No More, with whom he split in 1988. 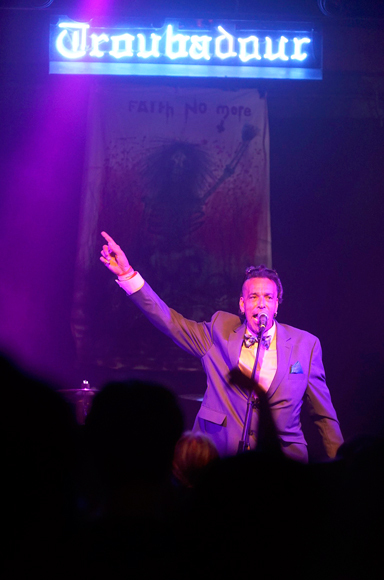 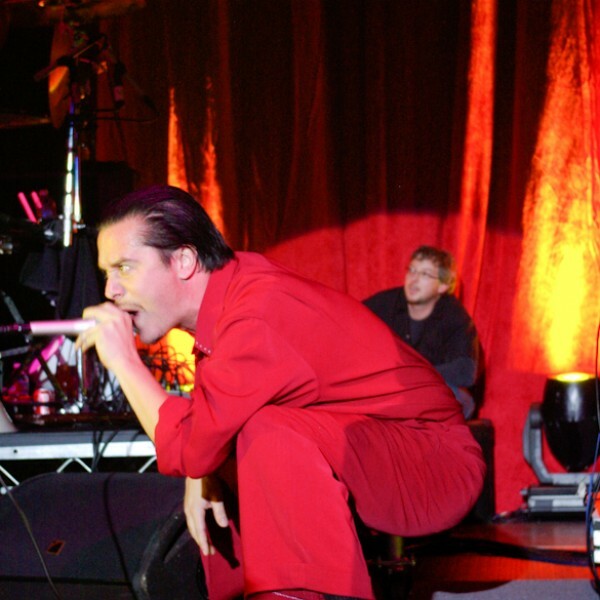 The concert, the second of just two, was to promote the release of Faith No More’s 1985 debut album We Care A Lot.